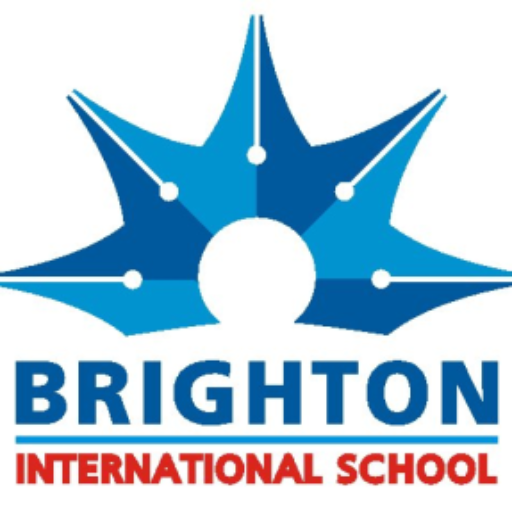 Brighton International School was awarded No. 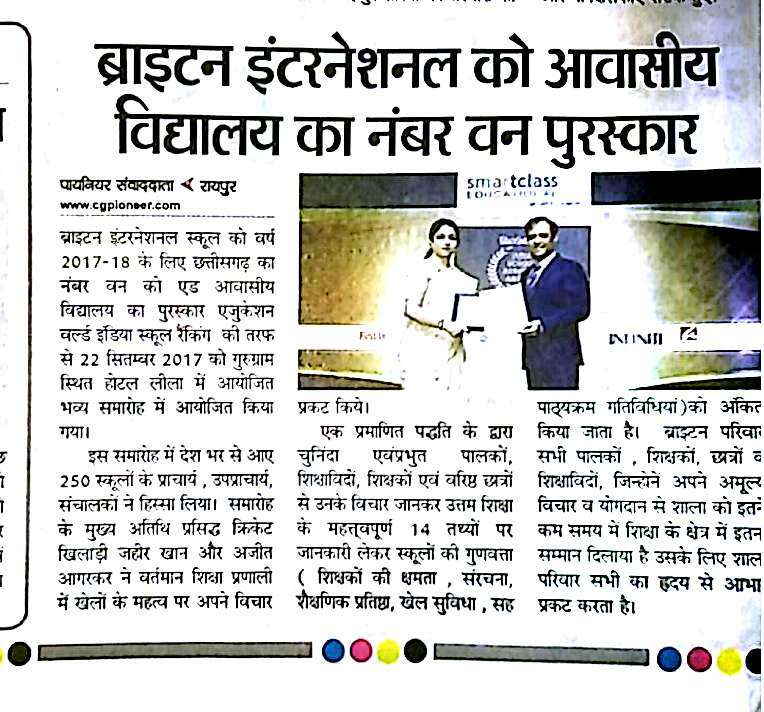 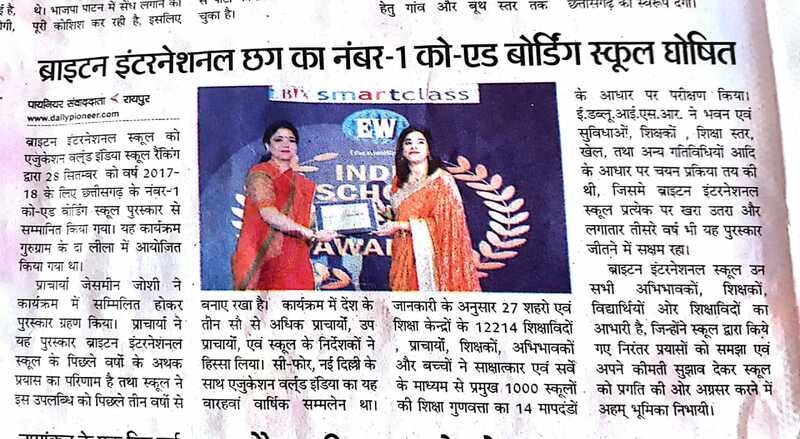 1 Co-ed Boarding school of Chhattisgarh by Education World India School Ranking(EWISR) 2018-19 on 28th Sept.2018 in the Award function at “The Leela” Gurugram. 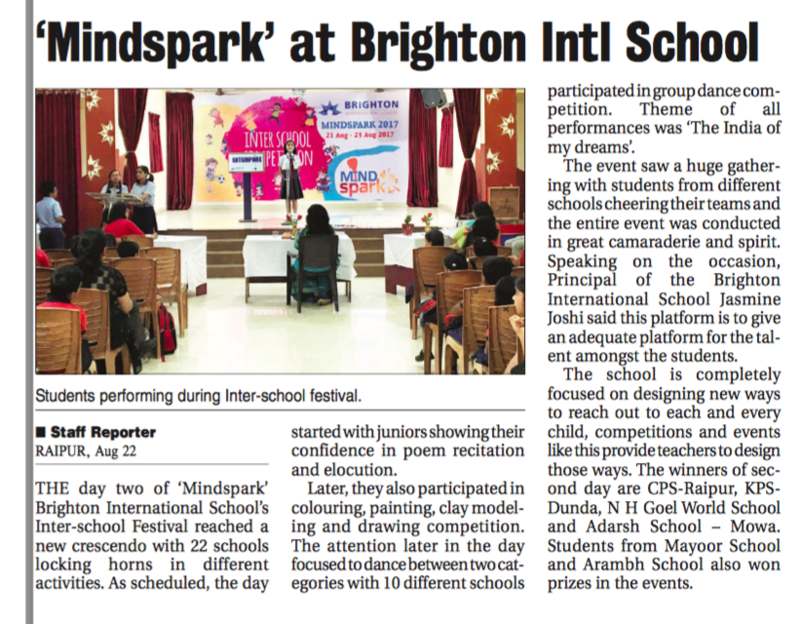 For Brighton International School, Principal Mrs Jasmine Joshi attended and received the award. 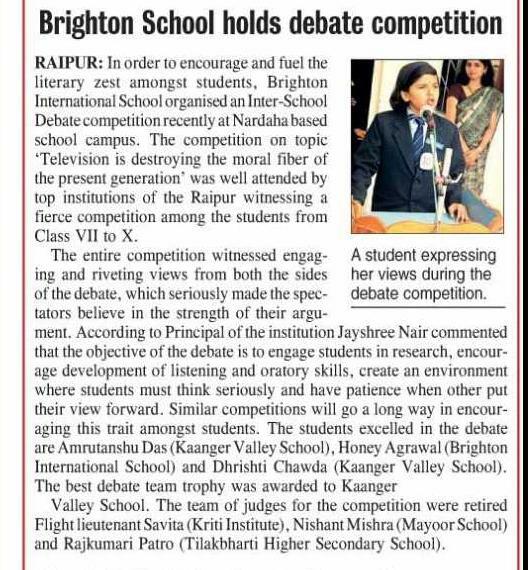 According to Mrs Joshi, in this day and age, the schools will have to keep evolving and cater to the needs of tomorrow. 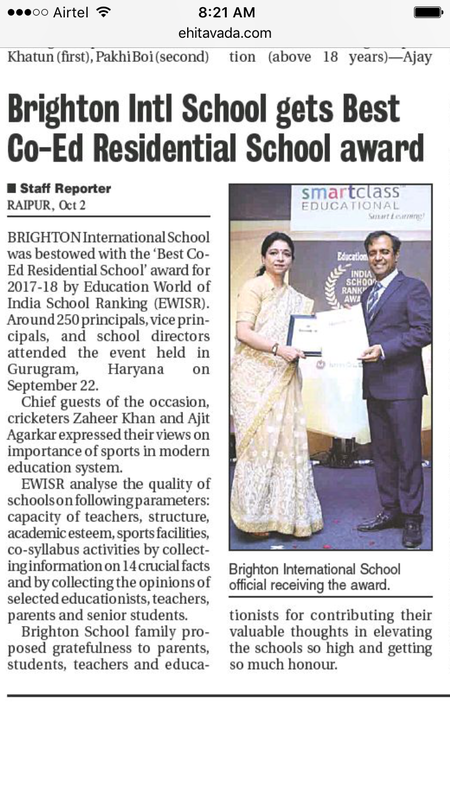 She further states that the award is a testimony to Brighton International School’s hard work in the previous few years and the school has been maintaining its rank over the last three years at the EWISR. 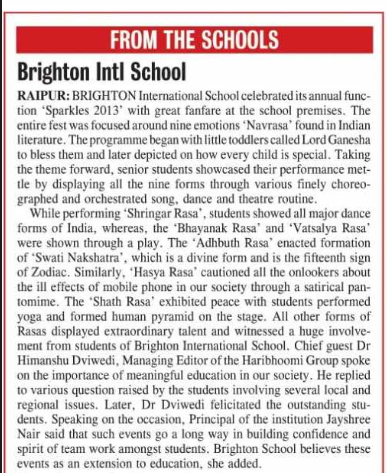 The Grand function was graced by more than 300 Principals, Vice Principals and Directors of various schools across the Country.  EducationWorld in association with C fore, Delhi has concluded its 12th annual EducationWorld India School Rankings survey. 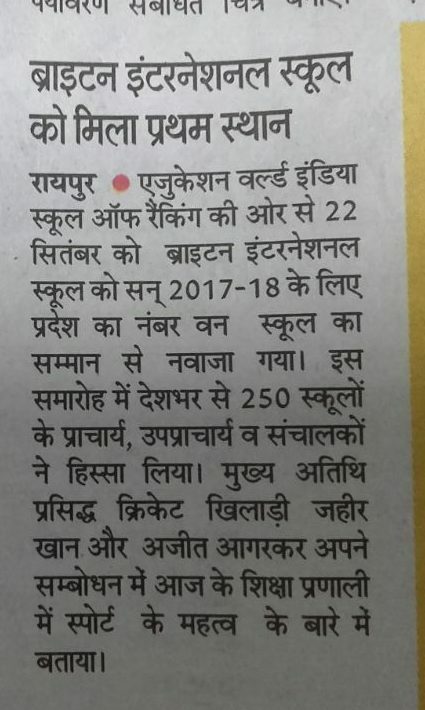 A sample respondents database of 12,214 educationists, principals, teachers, parents and students in 27 cities and education hubs across India were interviewed to rate the country’s Top 1,000 schools on 14 parameters of education excellence. 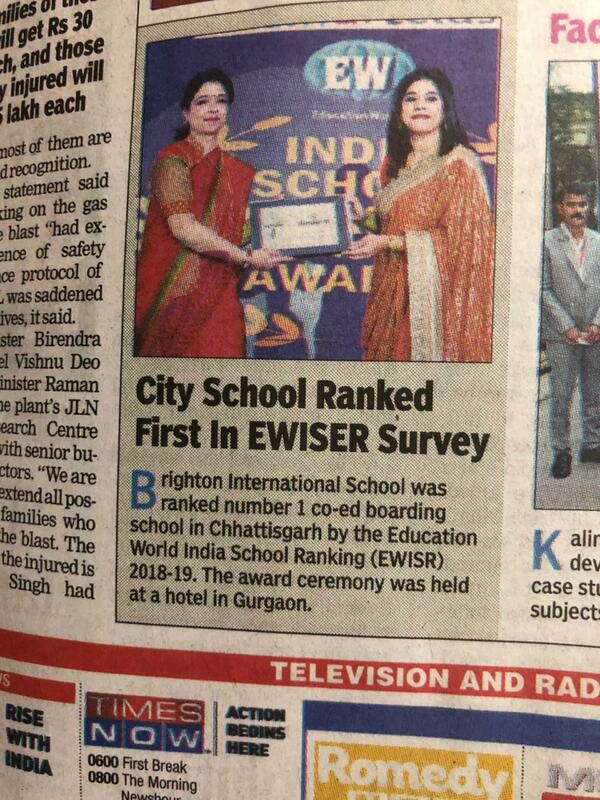 EWISR has been using the well-established practice of consulting a sample database of informed parents, educators, teachers and senior school students and interviewing them to rate schools on 14 parameters of education excellence (Teacher Competence, Infrastructure, Academic reputation, Sports, Co-Curricular Activity etc.) 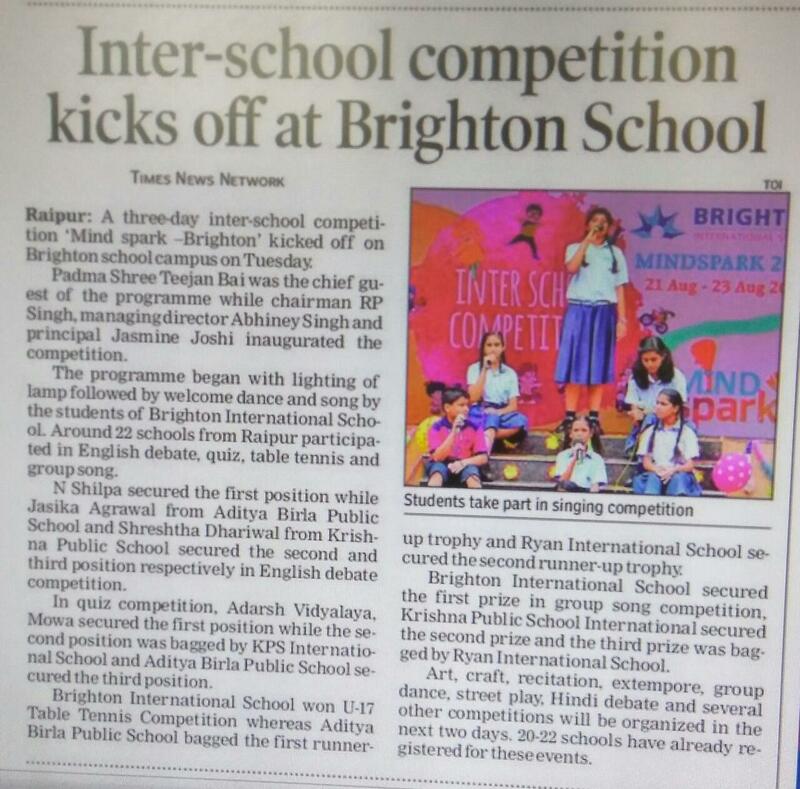 Brighton extends gratitude to all those parents, teachers, students and educators who gave their valuable views and acknowledged the immense efforts put forth by Brighton Family. 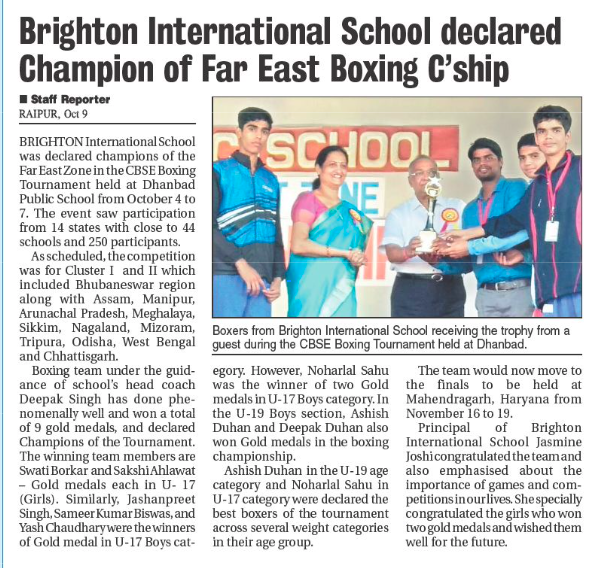 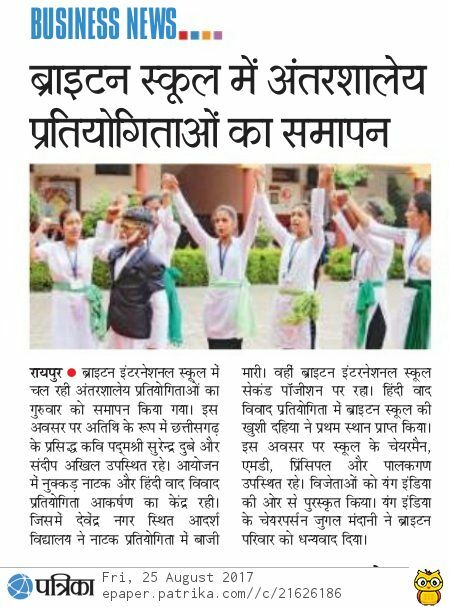 Brighton International School is declared Champions of the FAR EAST ZONE at the CBSE Boxing Tournament at Dhanbad Public School between 4th Oct – 7th Oct 2018. 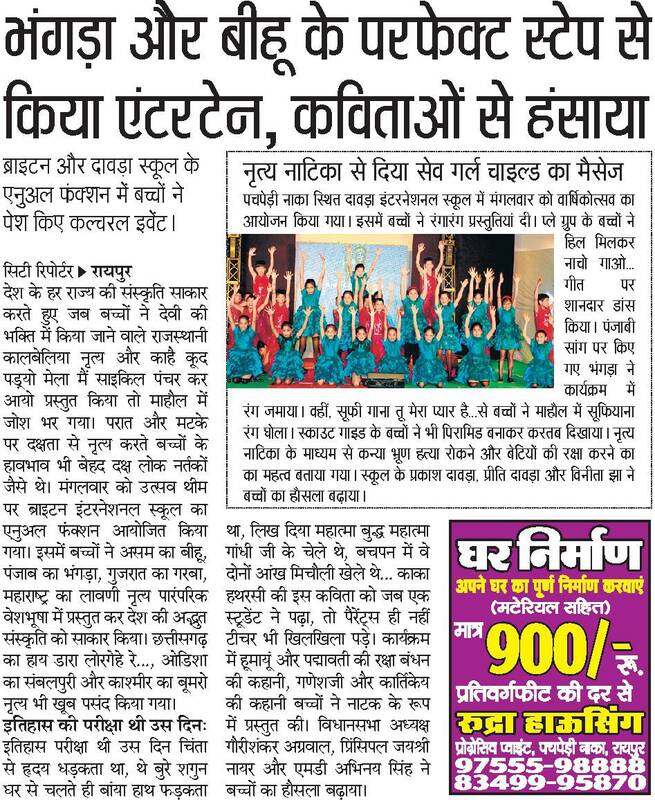 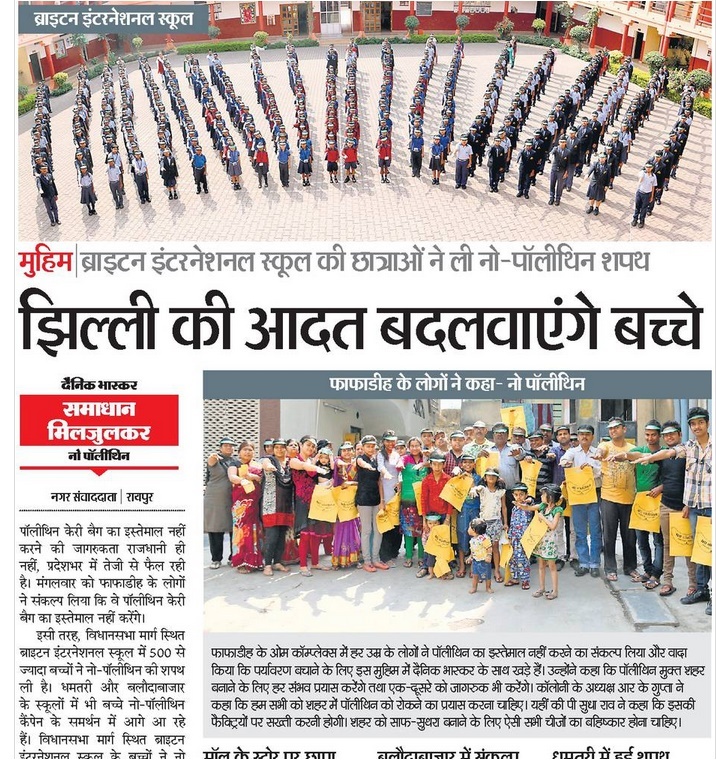 The event saw participation from 14 states with close to 44 schools and 250 participants. 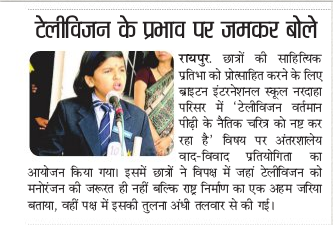 The competition is for Cluster I & II which includes Bhubneshwar region and includes Assam, Manipur, Arunachal Pradesh, Meghalaya, Sikkim, Nagaland, Mizoram, Tripura, Odisha, West Bengal and Chhattisgarh. 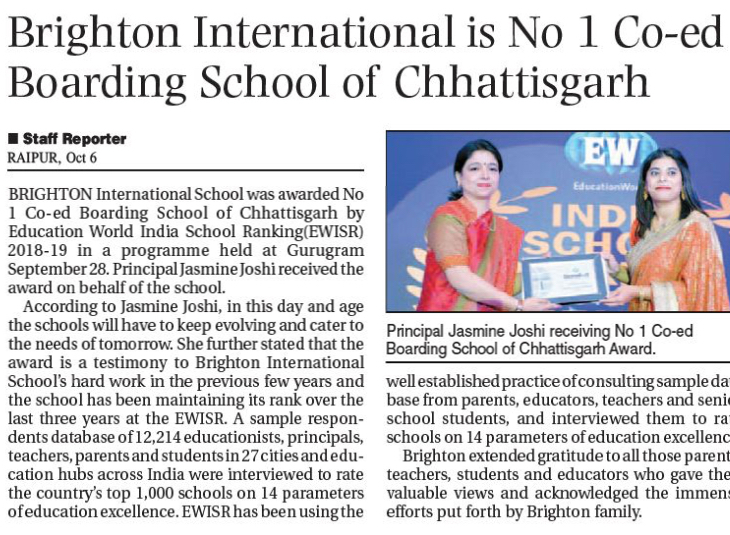 Brighton International School is awarded the Best School in Chhattisgarh at the BrainFeed School Excellence Awards Brighton International School was awarded the best School in Chhattisgarh in the area of Best ICT implementation & Sports Education. 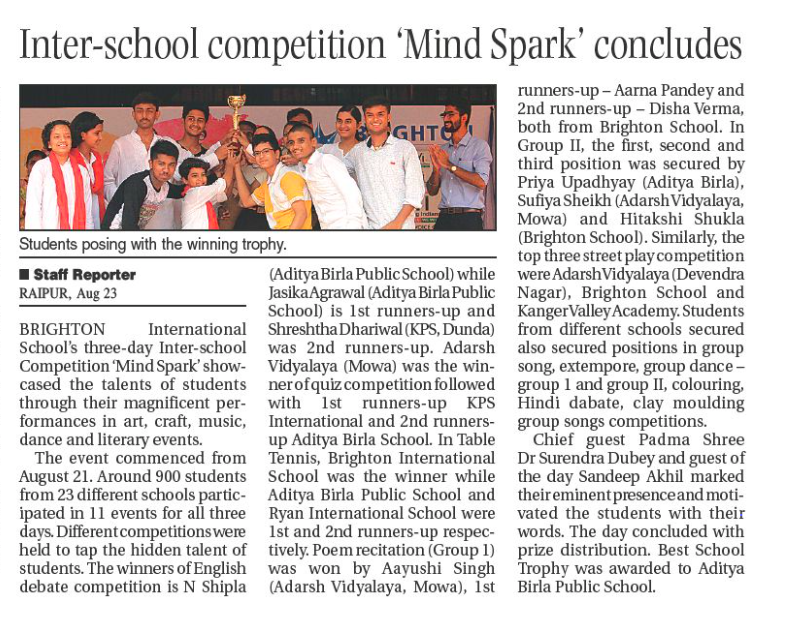 At the award ceremony held at The Westin in Koregaon Park, Pune organized by the leading Education Magazine in India the Brain feed Magazine, The selection committee was unanimous on Brighton International School’s contribution towards the cause of quality in education through exemplary performance. 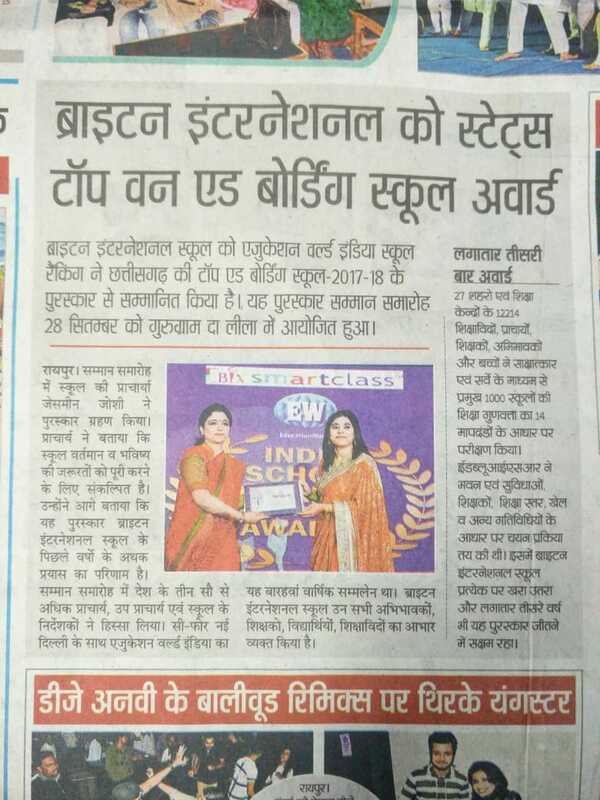 Brainfeed is a monthly educational initiative, covering a wide range of informative topics with relevant content for educators as well as the learner. 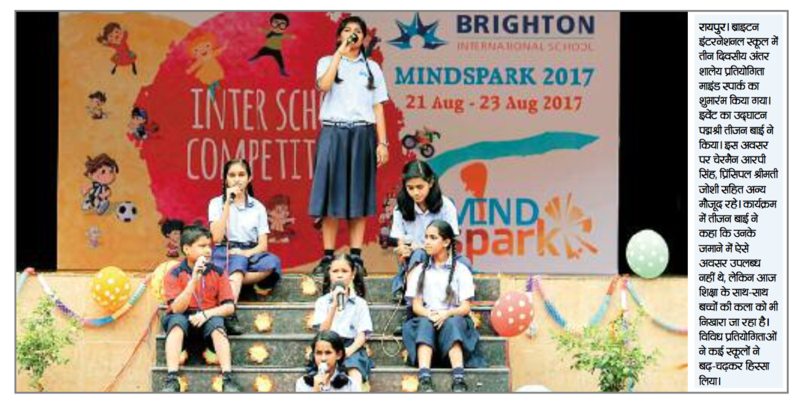 Brainfeed magazine is one of the pioneers in the field targeting the entire education sector from primary to high school education. 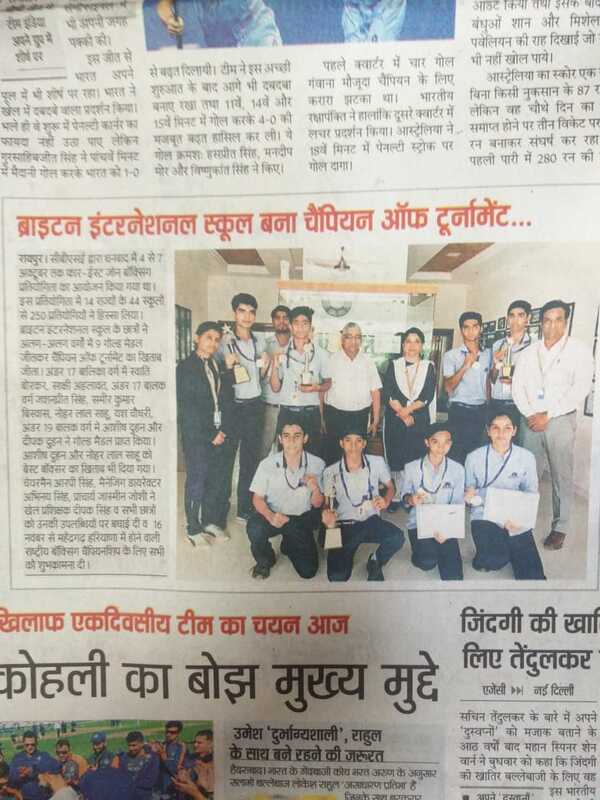 It provides latest information on academic issues arising out of classroom pedagogical practices, innovative technology-based teaching and latest developments in the present educational scenario.